Transition to 2015 ISO versions of standards: Successfully completed! As part of its duties, JIO places a high priority on promoting quality, safety & environmental responsibility and is mindful of the possible impact on these areas in every aspect of its operations. To ensure the success of this mandate, JIO implemented an Integrated Management System (IMS) which focuses on the quality of service being delivered to all customers, the safety of all employees and the motoring public along with protection of the environment, through a dynamic of continual improvement. 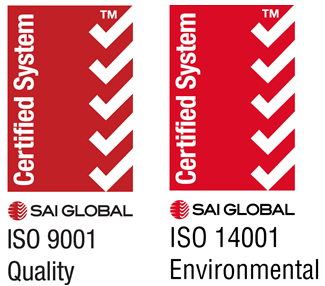 Certified to ISO 9001 (quality standard) and ISO 14001 (environmental standard) since 2008, which indicates the compliance of its activities with international standards, the company now confirms its successful transition to the new 2015 versions of these 2 standards, effective as at September 20, 2017. • Provides a structure to improve employee processes by allowing management to objectively identify where things are working well and where additional resources may be necessary to make things run more smoothly. • Reassures customers that operations are held to the highest industry standard, and therefore they can anticipate that their needs will be met consistently. • Affords more effective communication at all functional levels, increases morale and job satisfaction. • Demonstrates a commitment and focus on continual improvement of the company’s internal processes and customer service. JIO looks forward to continue to give its customers the high-quality service they deserve.